Enter TGOG at checkout for a 10% discount. This is the new way to wash hair: Essential oils and naturally-derived saturated cleansers clean and moisturize hair instead of damaging it with detergents and salving it with silicone. • Over time: These three creamy cleansers revive what has been sapped by suds, bleach or heat, preserve hard-earned color, and make troubled scalps much, much happier. So: Take the plunge and rediscover the true nature of your hair (most of us have no idea how amazing it is). For oil-prone types: Apple cider vinegar and argan oil boost cleansing power. Performs miracles for most people and most types of hair. A cleansing cousin to co-washes for thirsty, thick or damaged hair. Powder to freshen hair between washes, and a free brush for effective cleansing. Hair Balm for all-day moisture, and a free brush for effective cleansing. WE DONATE 1% OF SALES OF NEW WASH 8-OZ. BOTTLES TO ORGANIZATIONS WORKING ON WATER-RELATED ISSUES AND VETTED BY 1% FOR THE PLANET. Work with your hair, not against it. PART TWO: SELECT THE FINISH. DEFINE THE TEXTURE. Many styling products exist purely to restore what detergent robs. But with suds out of the story, hair looks and feels great right out of the shower. You don't need detangling spray or leave-in conditioner, and blow-drying is a choice, not a chore. • So think of these styling products as ways to polish, finish, dress up or down, refine, define or create texture, add interest and support a great haircut. All complement the life-giving properties of New Wash and help hair be healthy, not just look it. 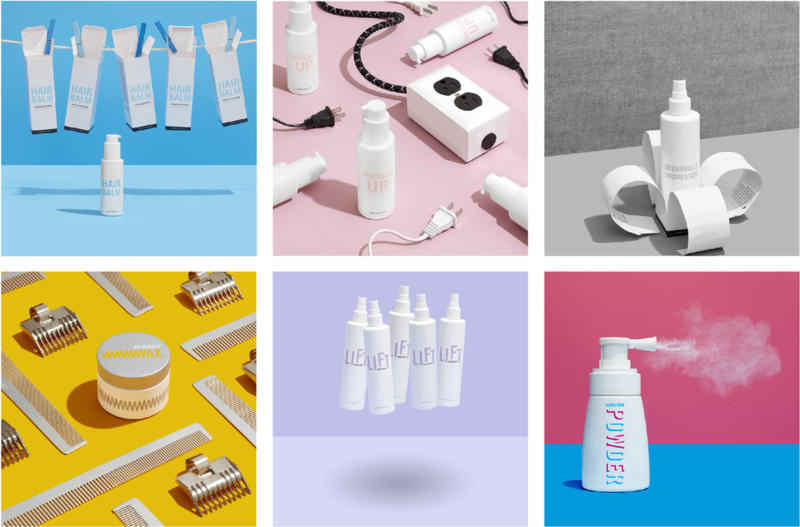 While so-called salon brands are leaving hairdressers high and dry and heading to richer pastures of Amazon and big-box beauty, we created a business model that guarantees hairdressers their fair share of sales in the new economy. Hairstory Hairdressers freely encourage their clients to buy online from us because they know they will get credit. If you know one who is interested in the future of salon retail, by all means send them our way. Enter HOLLYWOOD at checkout for a 10% discount.